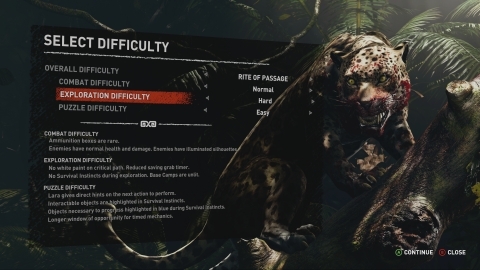 "While traditional options like easy, normal, and hard can be swapped at any time, once a player chooses Deadly Obsession, it applies to all three categories (puzzles, traversal and combat) and they will be unable to change the difficulty for the remainder of the playthrough. "A loyal friend to any Tomb Raider completionist, Survival Instincts is back once again. Adventurers looking for a more holistic experience can toggle Beacon (next objective location) and Glow (interactable objects) on/off regardless of difficulty settings (except when on the Deadly Obsession setting, of course)." 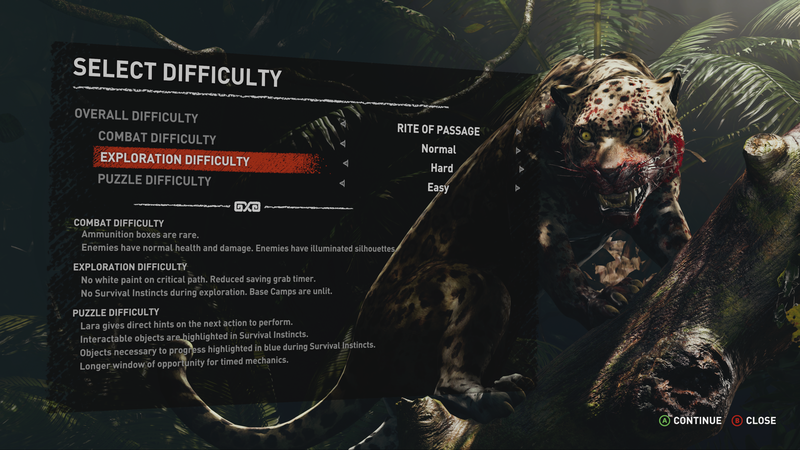 The full document on accessibility selections and customisable difficulty settings can be viewed here.